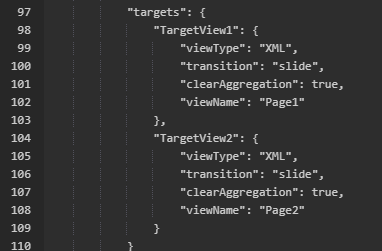 In the previous blog, we didn’t use the template step for configuring the names of the views. 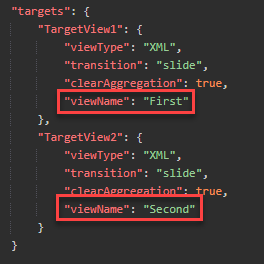 Now, I’m going to extend this step in the wizard to configure the name of the two views. I’m going to remove the view type and add a second field for the second view. Then, I’m going to edit the forms configuration. Same for the controllerName reference in the views. In view “Page1” you use the reference “name1” and “name2” for “Page2. 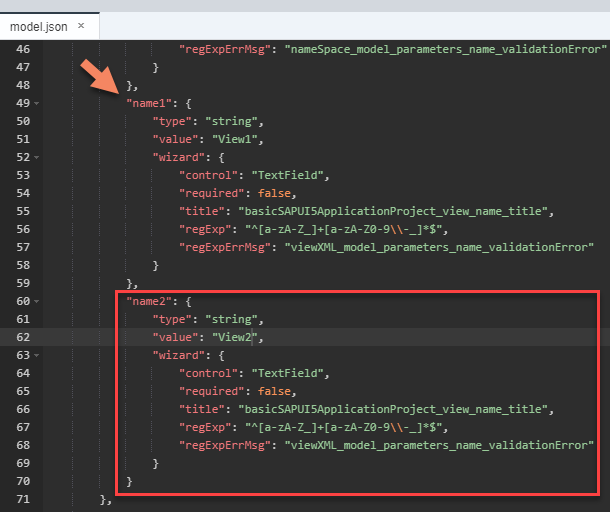 To make the filenames dynamic, I have to add the following lines in the “Sapui5withrouting.js” file. This will replace the names that we’ve used in our template with the values from the wizard. 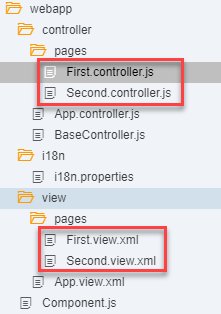 This will generate a project and you’ll see that the controller/view names are the same as in the wizard.